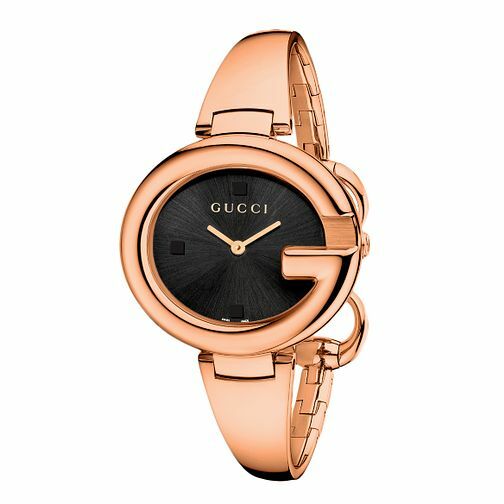 Discover iconic Gucci style, with this romantic rose gold PVD bangle watch, featuring a constrasting black dial with rose gold PVD accents, set in a stylish 'G' motif case. Bold and contemporary elegance. Gucci Guccissima large rose gold plated bangle watch is rated 5.0 out of 5 by 1. Rated 5 out of 5 by Anonymous from Great looking watch Very pleased,very stylish,would like too have been able to take out the platinum insurance on line.